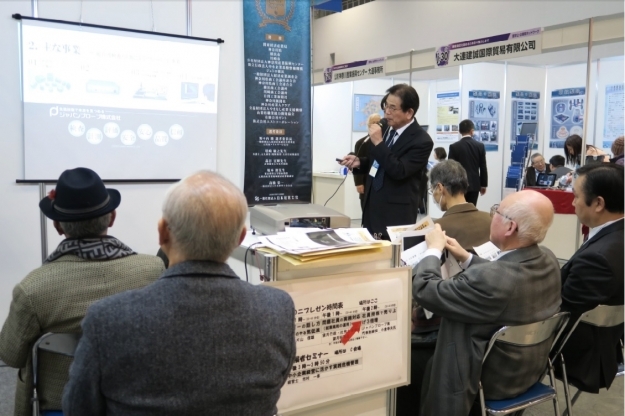 Our president Yukio Ogura made the address at the booth of the Association of Management Consultants In Japan at the "Technical Show Yokohama 2015" on February 4th, 2015. This address was commemorative speech for receiving an "Award for excellence" of Business Innovation Award 2014 held by the AMCJ. In this address, President Ogura spoke about unique effort of management. For example, 80% of their staff are stockholder. Also we use employment system without retirement age, and we put "Market in" into practice as esearch-and-development-type company and so on.